Review and Swatches : DMGM Cosmetics Xtreme Matte Chubby Stick In " POSSUM HAW HOLLY CS02 "
DMGM Cosmetics Xtreme Matte Chubby Stick In " POSSUM HAW HOLLY CS02 "
When the whole world was having " Orange lip fever " , I was in search of a beautiful matte orange lip product that suits our Asian skin tone . 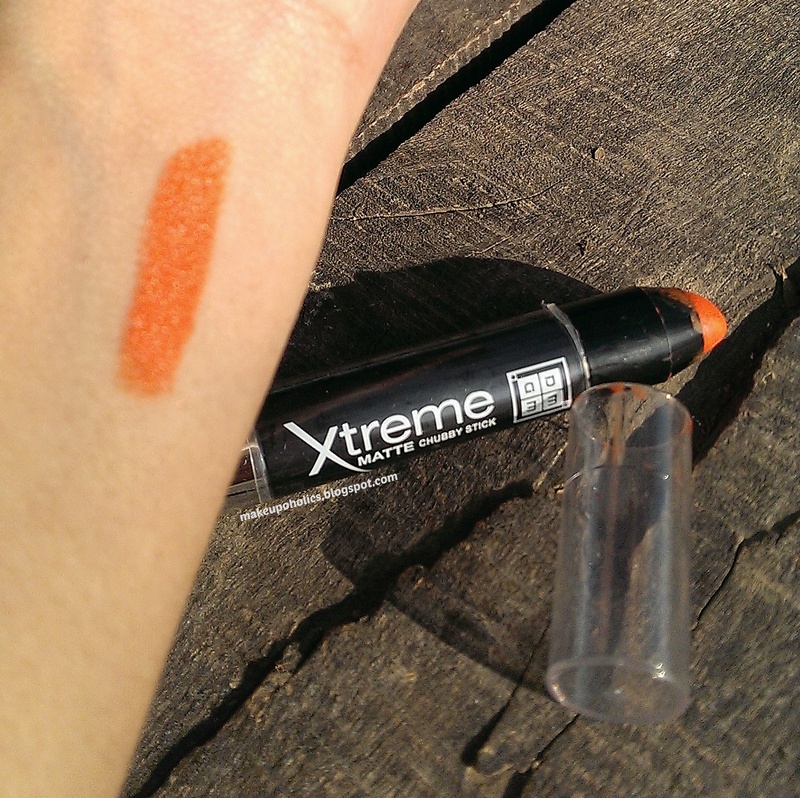 And my search was fully satisfied after finding the goddess of orange lip colors DMGM Cosmetics Xtreme Matte Chubby Stick In " POSSUM HAW HOLLY CS02 "
For a perfect finish, Apply the product on the lips, drawing the contour, adjusting the amount of product till the desired coverage is obtained. DMGM Cosmetics Xtreme Matte Chubby Stick In " POSSUM HAW HOLLY CS02 " is a beautiful bold and matte orange lip color that is just perfect to satisfy your hunger for orange lips . 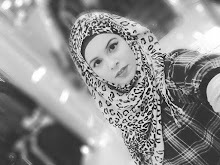 Believe me , its bold but its damn beautiful . 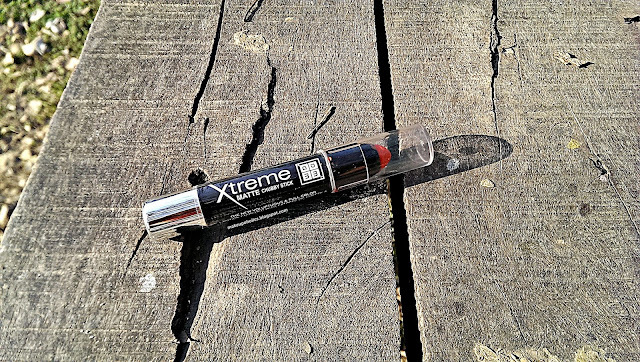 DMGM Cosmetics Xtreme Matte Chubby Stick In " POSSUM HAW HOLLY CS02 " comes in a plastic black twister packaging with a transparent plastic cap . This makes it easier to carry and identify the color in your makeup stash. The texture of DMGM Cosmetics Xtreme Matte Chubby Stick In " POSSUM HAW HOLLY CS02 " is very creamy . It glides smoothly and evenly plus dries into semi-matte finish . If your lips are dry like mine then a little exfoliation and moisturizing your lips is highly recommended for smooth application as it has the tendency to settle in to fine lines. 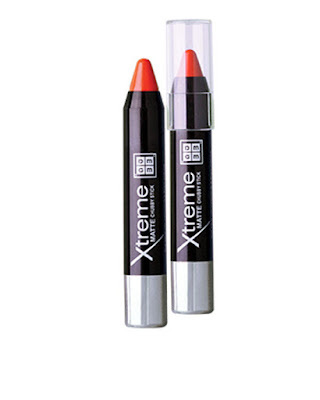 To give it extra matte finish , after applying it i just bloat my lips with a tissue paper and press some powder on top of it and you will have the gorgeous bold matte orange lips . The pigmentation is also good that gives you a medium to full coverage and you can build the intensity of the color according to your taste . DMGM Cosmetics Xtreme Matte Chubby Stick In " POSSUM HAW HOLLY CS02 " have a strong baby product like smell ( this is the only reference i can think of ) . The smell is powerful and takes sometime to fade away completely . Lasting power of DMGM Cosmetics Xtreme Matte Chubby Stick In " POSSUM HAW HOLLY CS02 " is also great . 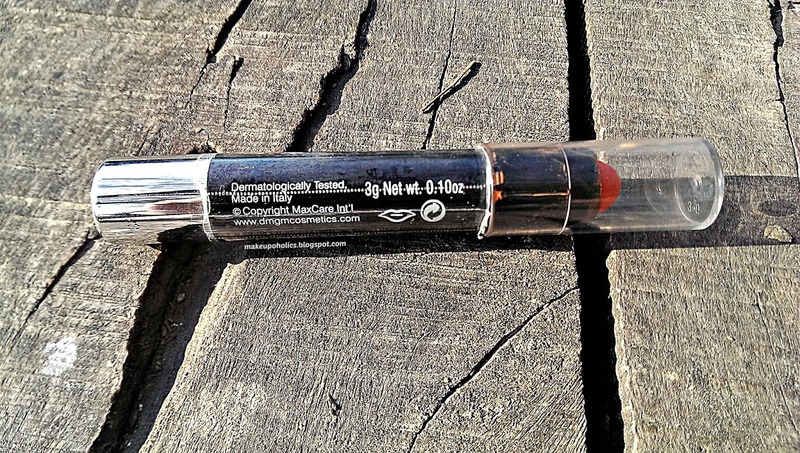 it did lasts for more than 6 HOURS on my lips without any touch ups . It fades evenly on my lips without leaving any patches which makes it more beautiful . Based on all these qualities , its definitely my favourite orange lip color and I gt tons of compliments every time i have this beauty on my lips . I definitely would love to try other colors from the range . YES , its a bold and beautiful matte orange lip color with good staying power. 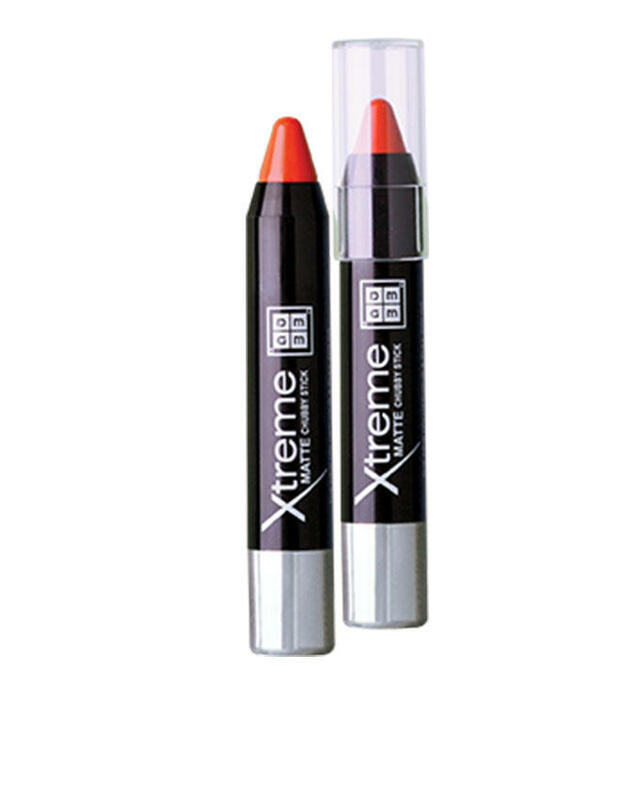 DMGM Cosmetics Xtreme Matte Chubby Stick In " POSSUM HAW HOLLY CS02 " comes with a price tag of PKR 995 approx and is easily available across the country. Such a lovely orange shade and it is looking gorgeous on you. Nice review.